A traditional men's watch from the Longines Master collection of timepieces. A dark brown faux croc strap with contrasting white stitch detail. 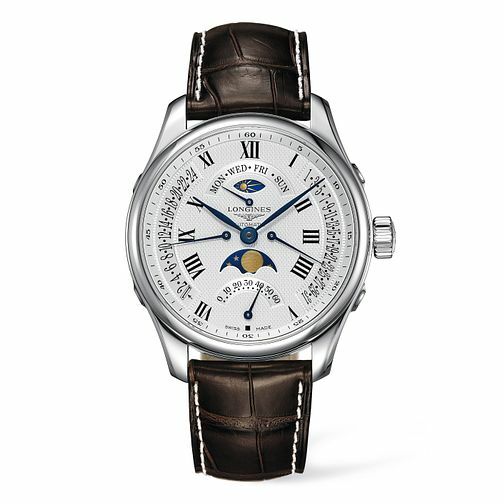 Set with a round, white dial featuring classic Roman numeral markers and two windows exhibiting elegant sun and moon detailing.